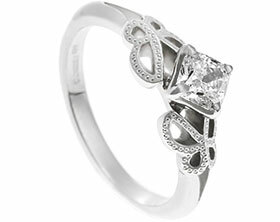 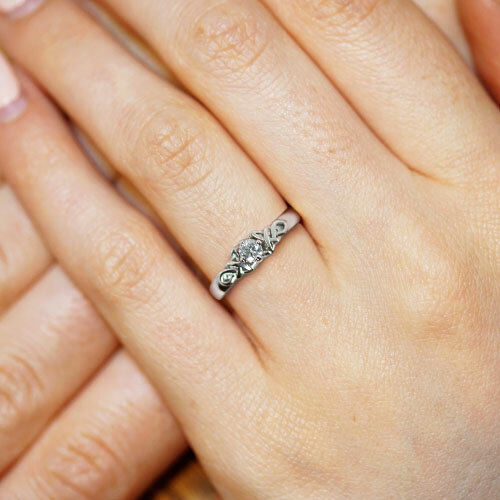 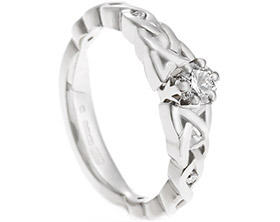 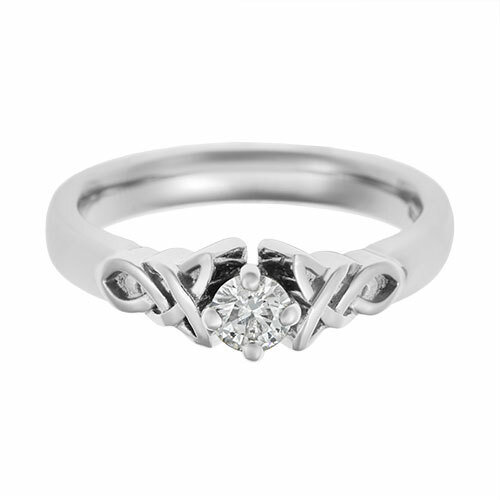 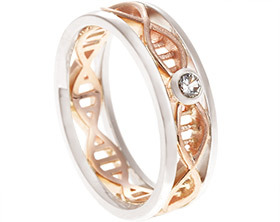 Influenced by Celtic knot designs, this engagement ring features intricate detailing on each shoulder of the palladium band. 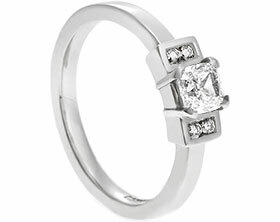 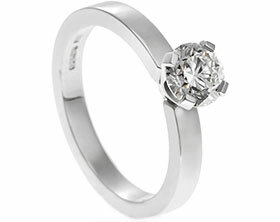 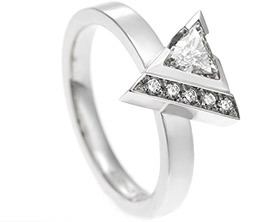 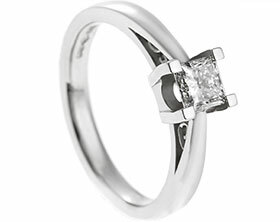 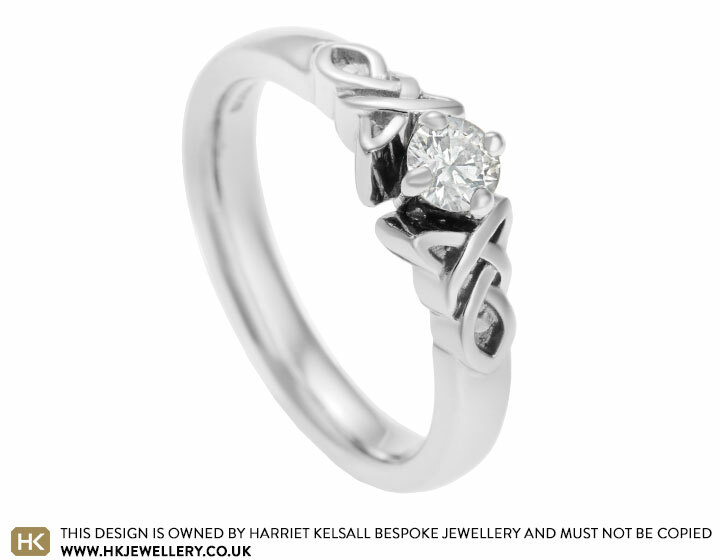 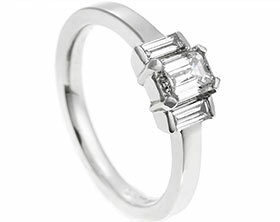 At the centre of the design is a 0.22ct brilliant cut diamond which is G-H in colour and SI in clarity and is held in a four claw setting. 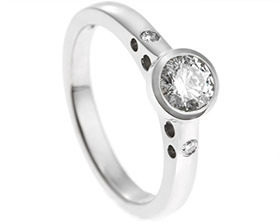 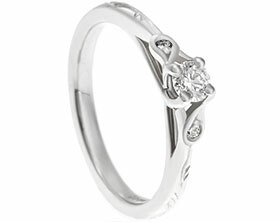 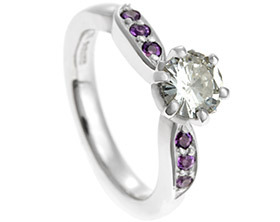 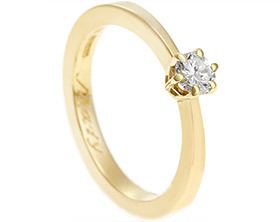 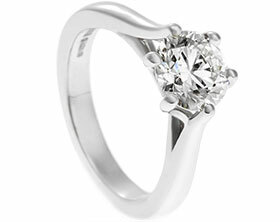 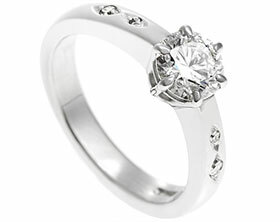 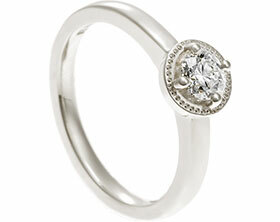 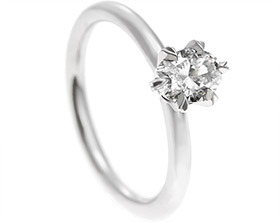 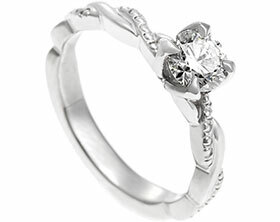 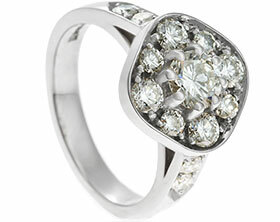 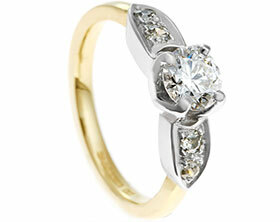 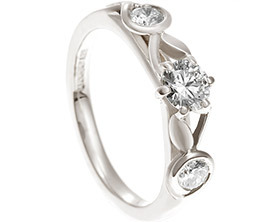 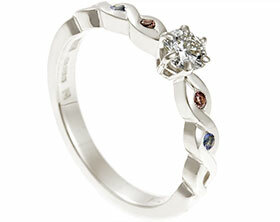 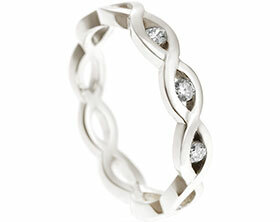 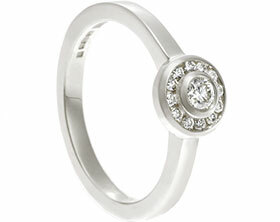 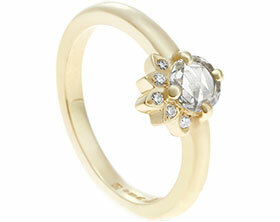 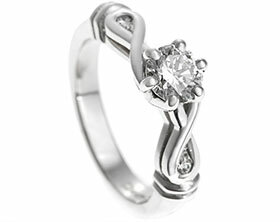 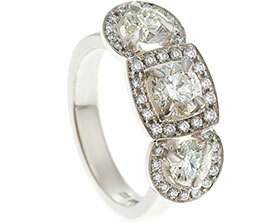 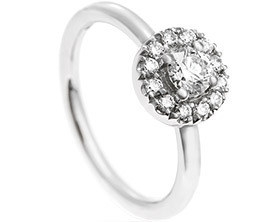 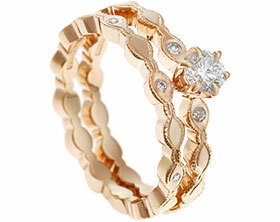 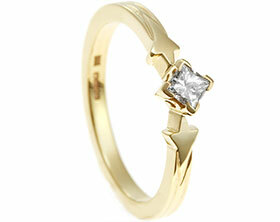 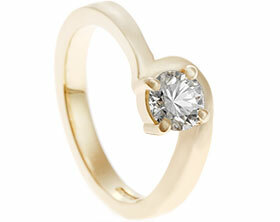 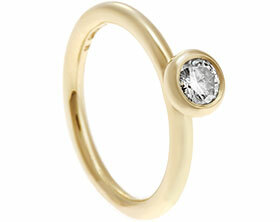 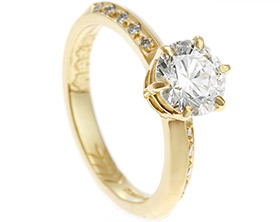 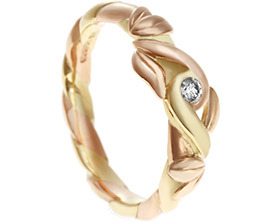 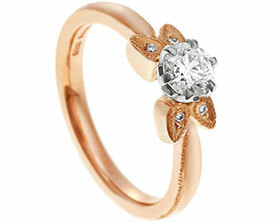 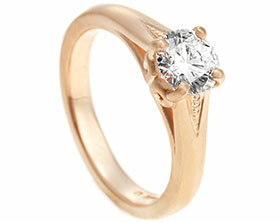 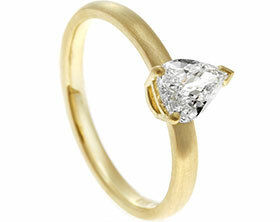 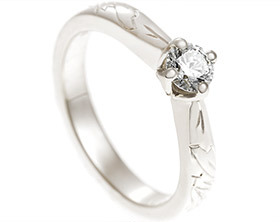 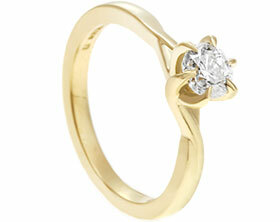 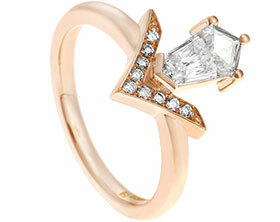 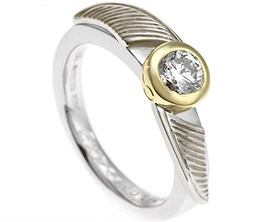 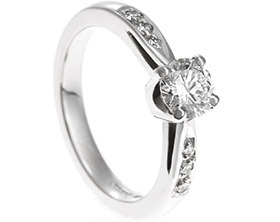 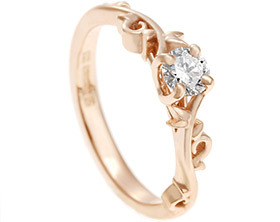 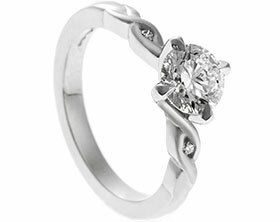 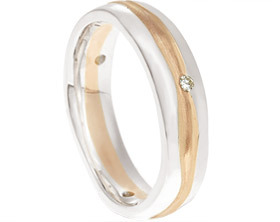 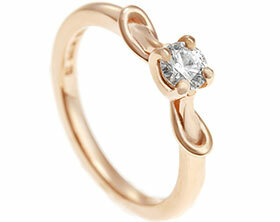 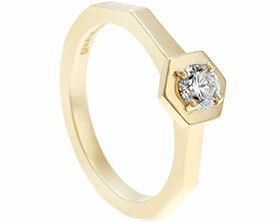 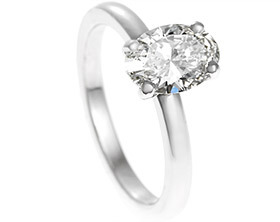 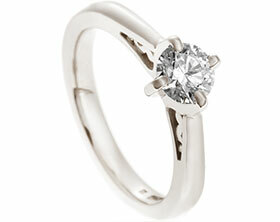 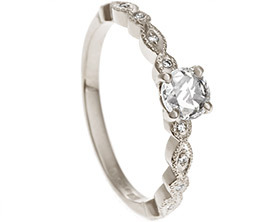 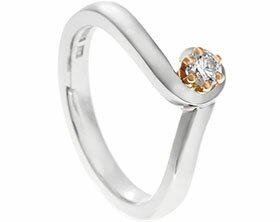 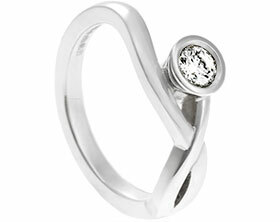 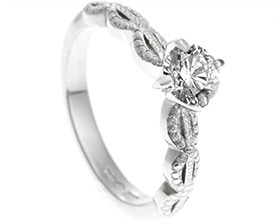 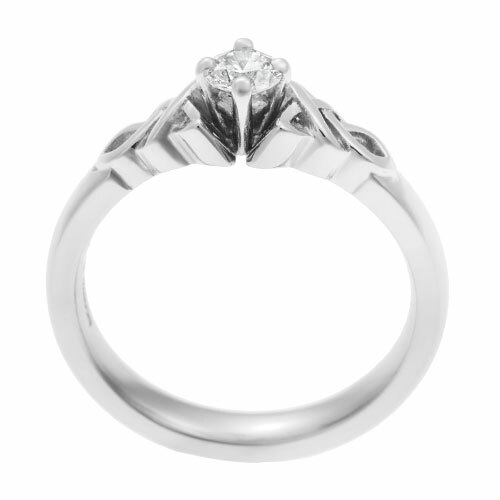 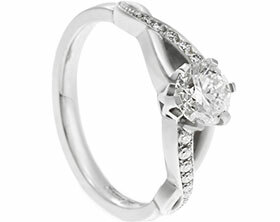 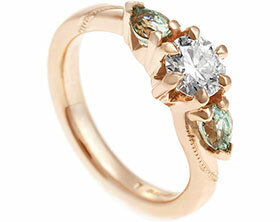 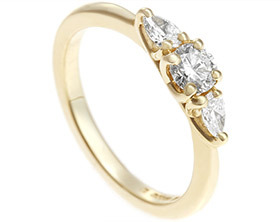 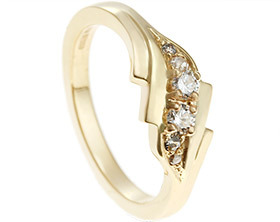 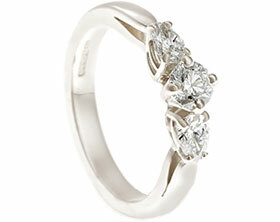 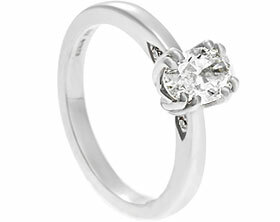 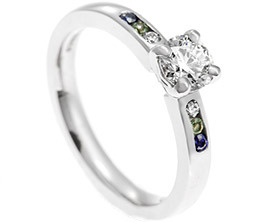 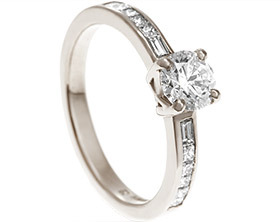 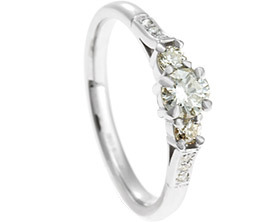 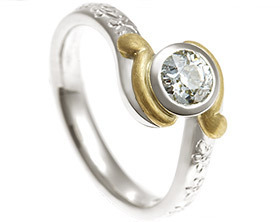 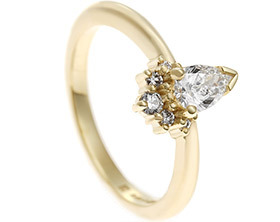 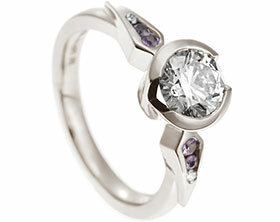 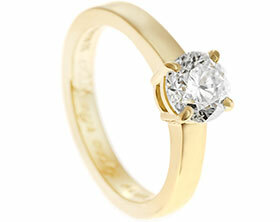 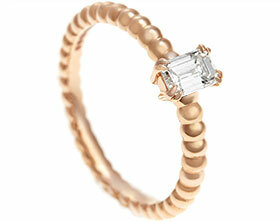 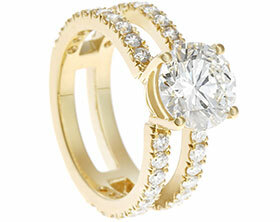 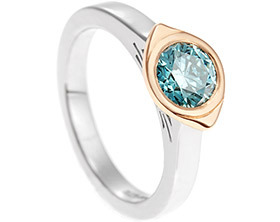 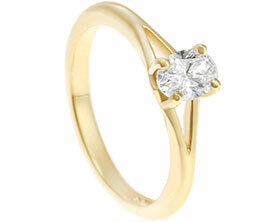 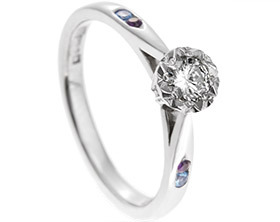 A polished finish enhances the sparkle of the diamond.